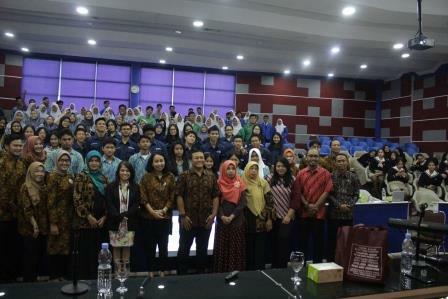 On March 5, 2019, The Akademi Sekretari Budi Luhur’s Student Organization (Ormawa) inaugurated new Chairperson for the period 2019-2020 consisting of the Senate and Student Association of the Akademi Sekretari Budi Luhur (Himastri). 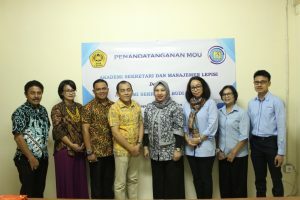 The inauguration was recognized by Ms. Fenti Sofiani, S.Pd., M.M as The Director and Mr. Achmad Syarif, S.T., M.Kom as The Chair of the Secretariat Study Program. 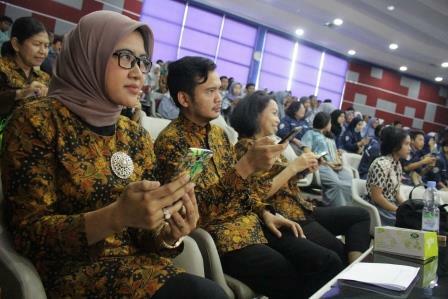 In addition, this inauguration also invited Mr. Lukas Arief Prasetya M. Kom as the head of BAAK Akademi Sekretari Budi Luhur, Mr. Rizky Eka Prasetya M. Hum as Student Advisor, Nur Fitria Sari as BAAK staff and all members of the Senate and Himastri. 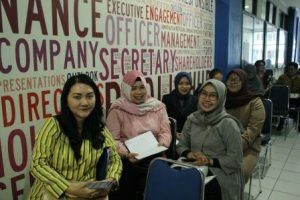 The selection began with the Leadership Basic Training (LDK) activity which took place on January 28, 2019 at Budi Luhur Villa, Gunung Bunder. 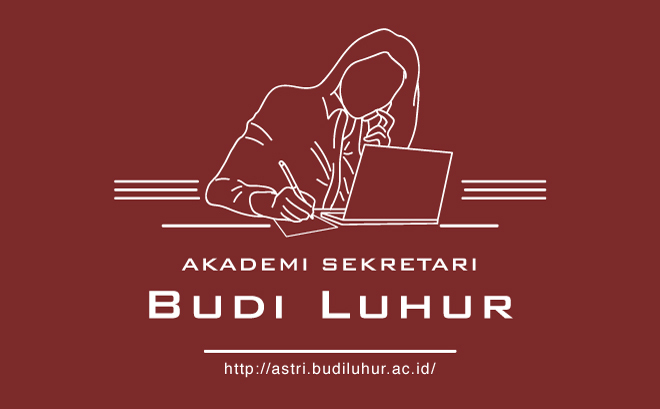 With the ongoing LDK activities, the Chairperson of the Akademi Sekretari Budi Luhur Senate was elected, namely Sandra Mila Dewi from the 2017 class and the Chair of Himastri namely Parasvana Dwiyana Putri from the 2017 class. Congratulations to the elected Chair of Ormawa for the period of 2019-2020, hopefully they can carry out their duties properly and correctly. On March 4, 2019, Akademi Sekretari Budi Luhur represented by Ms. Fenti Sofiani, S.Pd., M.M. as The Director, Mr. Achmad Syarif, S.T., M.Kom as The Chair of the Study Program, and Ms. Maria Goreti Dacunha as The Head of Quality Assurance Affairs signed a cooperation agreement (MoU) with Akademi Sekretari dan Manajemen (ASM) LEPISI specifically the Secretariat Study Program. The signing of the MoU was carried out on the ASM LEPISI campus located on Jl. Bro. Tubun, Ps. 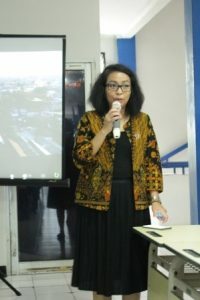 Baru, Karawaci, Kota Tangerang, Banten. The arrival of Akademi Sekretari Budi Luhur was welcomed by Ms. Hesti Umiyati, S.E., M.M as The Director, Mr. Roberto Tomahuw, S.E., M.M. as The Deputy Director III, Mrs. Paula Theodora as The Head of the Secretariat Study Program, Mr. Amir Hamzah, S.E, M.M as The Head of Accounting Management Study Program, and Ir. Arvadi Hutagalung, M.M. as The Chairman of BPH Yayasan Widya Anindya. This visit intends to follow up cooperation in the case of Higher Education Tri Dharma and curriculum in the Secretariat Study Program. 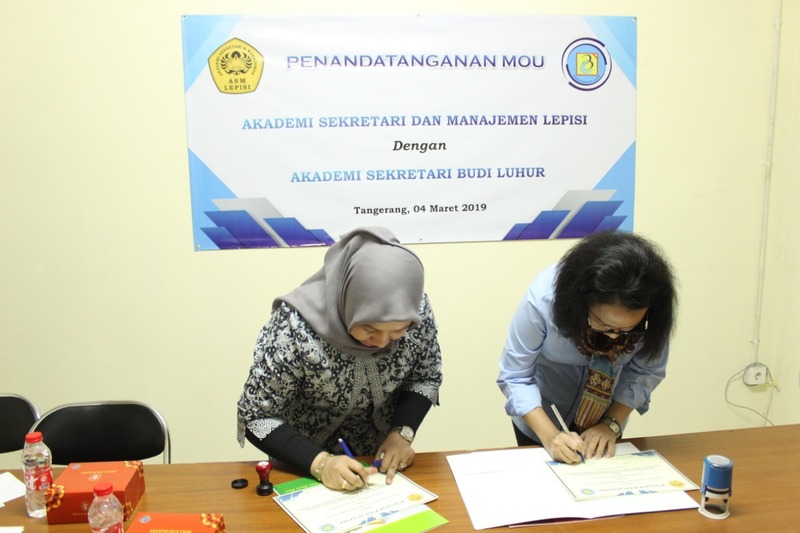 The cooperation between Akademi Sekretari Budi Luhur and ASM LEPISI hopefully will be beneficial and contribute mutually to the advancement of knowledge for all students, lecturers and institutions. 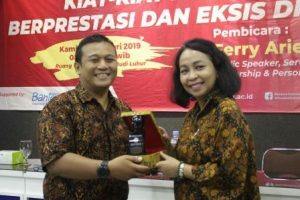 Akademi Sekretari Budi Luhur held a series of competitions in the occasion of Budi Luhur’s 40-year Anniversary. 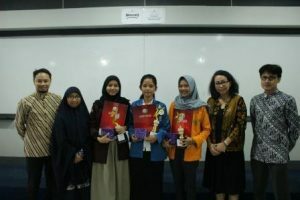 The Speech Contest and Essay Writing competition activities are continued activities from the Astri Series Competition. This competition aims to increase the level of ability of students in English so that they can enhance their skills in using English as an international language for future prospective secretaries. The activity was held on January 30, 2019. 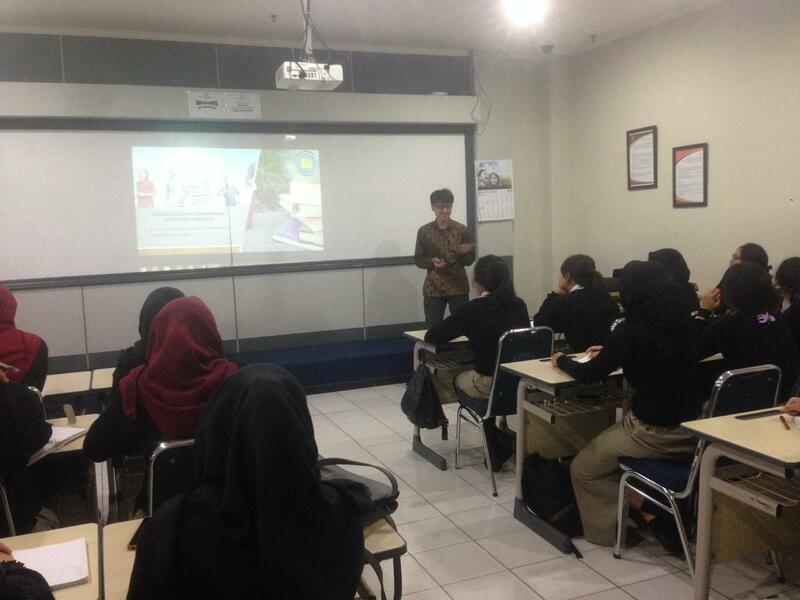 The competition also invited several campuses in the Jakarta and Tangerang regions. 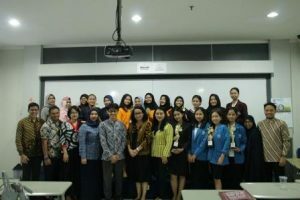 Participants consisted of 15 people from 5 specialized colleges of secretarial study programs and office administration. 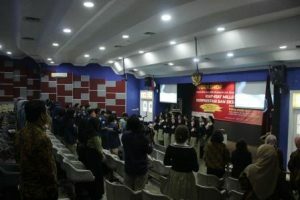 These universities include the Universitas Indonesia, Universitas Bina Sarana Informatika, Akademi Sekretari dan Manajemen Lepisi, Universitas Pamulang and Akademi Sekretari Budi Luhur. The opening of the event was opened by Ms. Fenti Sofiani, S.Pd., M.M as the Director of the Academy at 09.00. 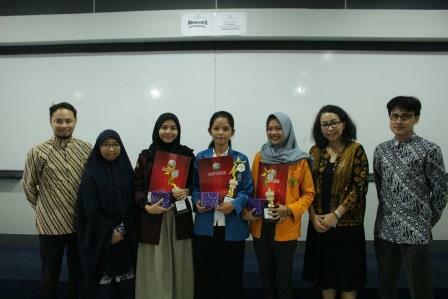 Speech Contest became the first competition and continued with the Essay Writing Contest. All competitions were assessed through detailed assessment indicators for each aspect of the competitions. 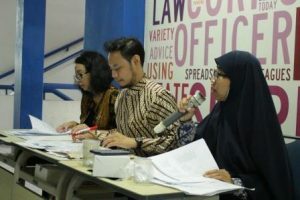 The entire competitions were assessed by experienced judges in the field of English discipline, Ms. Fenti Sofiani S.Pd., M.M, Ms. Tulus Yuniasih, M.Soc.Sc, and Mr. Rizky Eka Prasetya S.Hum., M.Hum. 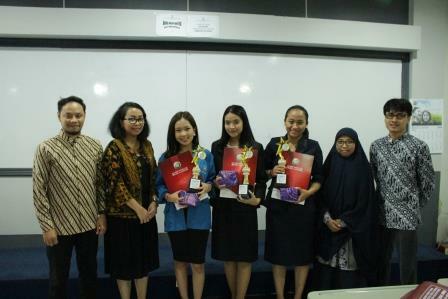 The winners in this competition consisted of 6 people with each being first and runner-up winners. The Speech Contest winner was Fedora Lola with a final score of 88.22 from the Universitas Indonesia, Eka Ferdiana with a final score of 81.67 from the Universitas Pamulang, and Aprieska Putri Pangestu with marks 81 from Universitas Bina Sarana Informatika. The winner of the Essay Writing Contest was Sania Agustin with a final score of 76.9 from the Universitas Bina Sarana Informatika, Anin Dita Aulia with a final score of 73.8 from the Akademi Sekretari dan Manajemen Lepisi,, and Arietha Aulia Sauzan with a final score of 72.8 from the Akademi Sekretari Budi Luhur. 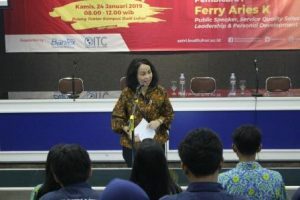 As the organizer, Director of the Akademi Sekretari Budi Luhur, Ms. Fenti Sofiani S.Pd., M.M appealed to the participants to always improve their ability to communicate, especially in English. This is to become more value and excellence for future professional and reliable secretaries. 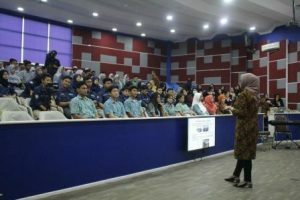 Akademi Sekretari Budi Luhur organizes regular activities by inviting high school and vocational students in the Jakarta, Tangerang and South Tangerang regions on January 24, 2019. 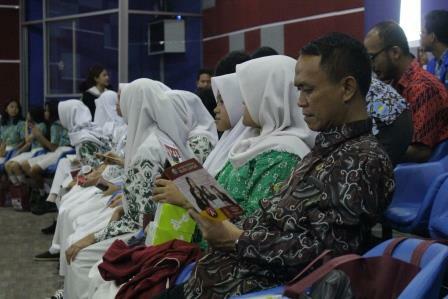 This event was an annual event organized by the Akademi Sekretari Budi Luhur. 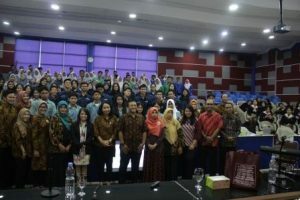 The workshop was attended by SMAN 9 Tangerang, Budi Luhur High School, Budi Luhur Vocational High School, PGRI II Vocational School, Budi Mulia Vocational School, Muhammadiyah 9 Vocational School, and Trimulya Vocational School with 7 teachers from each school with 150 participants. The speaker of this Workshop was Mr. Ferry Aries Kurniawan. 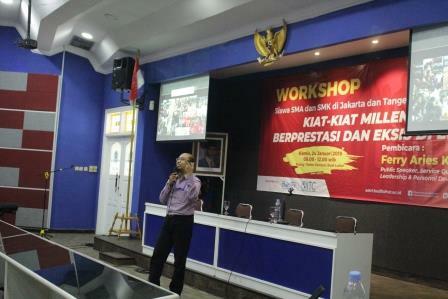 He is an expert in the field of Public Speaking, Service Quality, Sales, Leadership, and Personal Development. Student Activity Unit (UKM) of the Student Choir of the Akademi Sekretari Budi Luhur marked the opening of the event conducted by Ms. Saskia Lydiani, S.Pd., M.Sc. 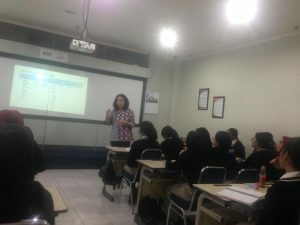 Furthermore, the Workshop was opened by the Director of the Academy, Ms. Fenti Sofiani, S.Pd., M.M, and were attended by Lecturers of the Academy. 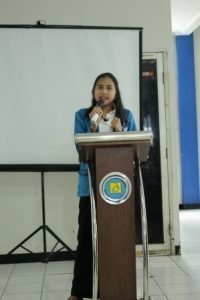 Reni Hariyani acted as a moderator as well as an introducing to the profile of the Akademi Sekretari Budi Luhur. Mr. 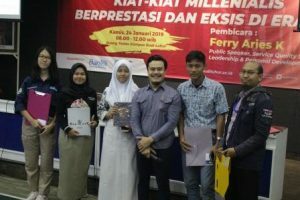 Ferry Aries Kurniawan provided this material with the theme ACHIEVEMENTS AND MILLENNIALISTS EXIST IN ERA 4.0. The world has entered the era of industrial revolution 4.0; this emphasizes the pattern of digital economy, artificial intelligence, and big data, robotic, etc. or known as the phenomenon of disruptive innovation. 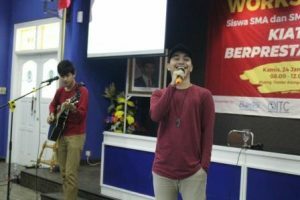 This event was also sponsored by PT Bino Mitra Sejati (Bantex), International Test Center (ITC), Budi Luhur Radio and Budi Luhur TV. 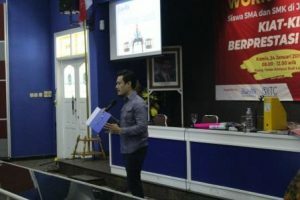 Bantex also provided knowledge about office equipment for high school and vocational high school students, the introduction of office equipment was delivered by Mr. Andi Wijaya as the marketing department of PT Bino Mitra Sejati. 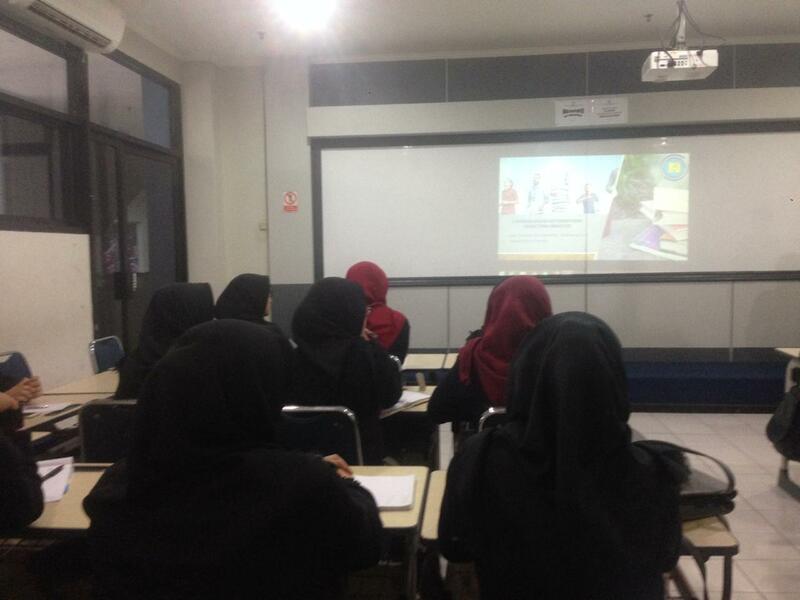 While ITC provided an understanding of the certification of expertise in the field of English, especially in the implementation of the official TOEFL, TOEIC, IELTS and others tests for high school and vocational school students. 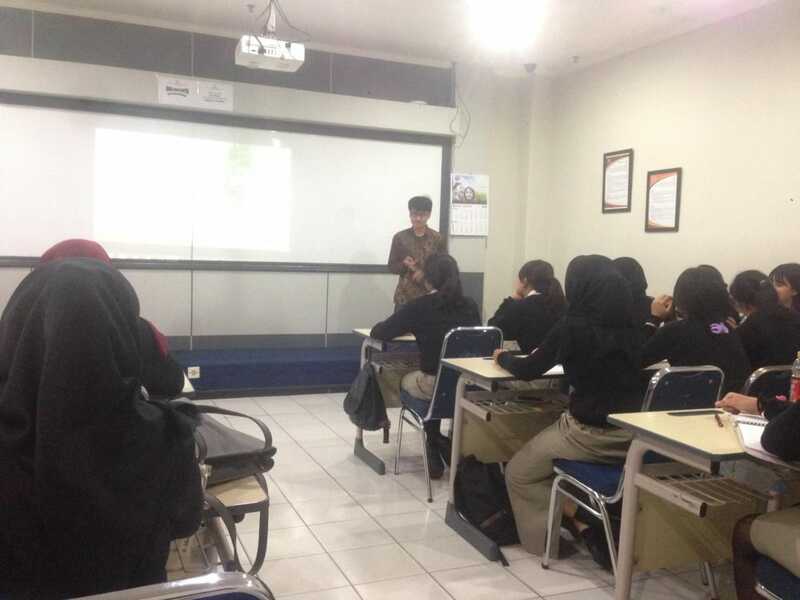 This presentation was represented by Mr. Widi for approximately 30 minutes. M. Agung Ahdani and Vidyardi Laksmono became the last entertainment program for this event. They are students of the Faculty of Communication Sciences, Universitas Budi Luhur. 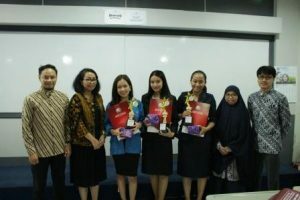 Farahdila Andini as the host announced the upload winner on Instagram photos by having the most likes and giving prizes to winners by the head of Achmad Syarif’s secretarial study program. Before the workshop was closed, the accompanying teachers and teachers were invited to take a photo together with the management of the Academy and Mr. Ferry Aries Kurniawan and closed by giving a placard to the speaker by Ms. Fenti Sofiani. 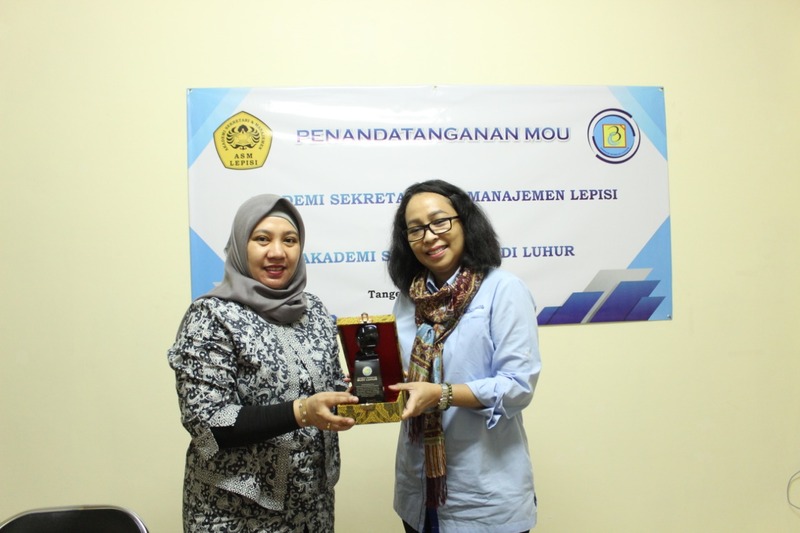 Mrs. Fenti, as the Director, thanked all the participants of High School and Vocational School and Companion Teachers, invitations and sponsors who were present and supported the running of this Seminar event. 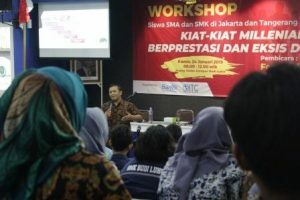 Hopefully the implementation of this workshop can be useful for all participants, especially high school and vocational students, in facing the challenges of the 4.0 industrial revolution. 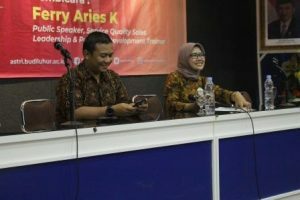 Senate and Himastri of Akademi Sekretari Budi Luhur organized LDK for new Senate and Himastri administrators on January 26 and 27 2019 at Gunung Bunder, Bogor. Before the LDK was implemented, new Senate and Himastri administrators were given material on leadership and organizational management by Mr. Achmad Syarif, S.T., M.Kom. 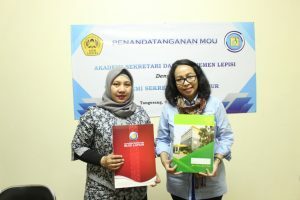 as the Chair of the Secretariat Study Program and Ms. Fenti Sofiani, S.Pd., M.M. as the Director of the Academy on Wednesday January 23 2019 at 09:00 – 11:00 in room 7.2.2. 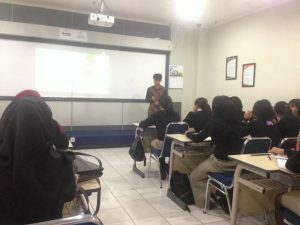 The material was given as a setting up for them before joining LDK, the material presented was such as leadership, types of leadership, organizational management, and how to cooperate well in an organization.